The aim of the experiment this year is for classes to carry out experiments and then share these with other classes around the country. In doing this students will have more of an idea of how the Science Community can work to come up with useful conclusions. Share your design with other classes around the country. Discuss all experiments; their accuracy, reliability and usefulness. Investigations may be fair tests, they may be observations, using models or just looking for patterns – whatever suits your programme and age group. Most of the answers to these investigations are well known to adults but they may not be so for students. Actually finding out their own results may give students a better understanding of their importance. Designs can be very simple or more complicated. Simple equipment can be used (especially toys), or students may be tasked to make their own equipment as required. We would encourage you to share experimental designs and results using the NZAPSE website. You can send any experiments or results to s.jackson@kings.school.nz. This can be in the form of a written report, labeled diagrams or a very short movie clip. By discussing and comparing their own, and others’, experimental designs and results, students are able to gain a greater understanding of how scientists work, the importance of appropriate data collection, as well as the actual outcomes. How do cell phones distract you? How does speed impact on distance needed to stop? How does a wet road impact on stopping distances? Which surfaces are better for driving on? 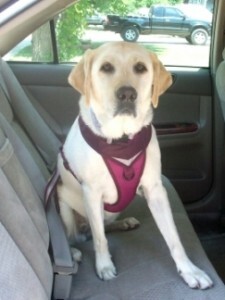 Should pets in cars have special restraints? What is the stopping distance of bicycles at different speeds? What is the two second rule? Does it work? What factors affect a vehicles stopping distance? How important are bicycle helmets for safety? What colours are most visible to drivers on the street- reflective, non-reflective, fluorescent? Aim: How observant are you when walking with ear buds? Answer your aim by using your results. 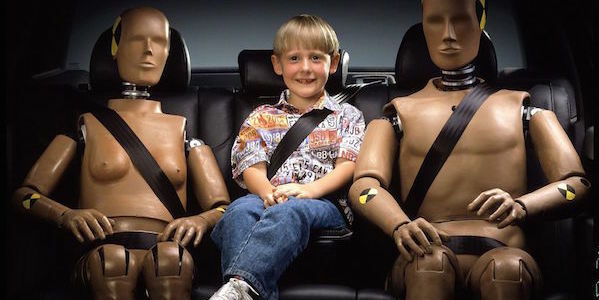 Aim: How do seat belts help us when we need to stop suddenly? 2. Push it so it travels quickly in a straight line towards a barrier that will make it stop. 3. When the car stops see where the object ends up. 5. Fashion a ‘seat belt’ to hold the object firmly in place. 7. Record where the object ends up after each trial. Or check out this home-made car with and with out seat belts. Collate all results – present as diagram, montage of photos, or graph if measurements have been taken. Has a seat belt made a difference to where the object lands when stopping suddenly? Does the speed of the vehicle change the distance the object travels when the vehicle is stopped suddenly? Reminder: Before you begin, please check if any of your students may have been affected by road accidents. Some of these activities and movie clips may be difficult for some children to be involved with due to any previous experiences.